Around noon the sunlight floods my son's room from the west, creating some amazing shadows. On a particularly bright day this week (thank goodness spring has finally arrived!) 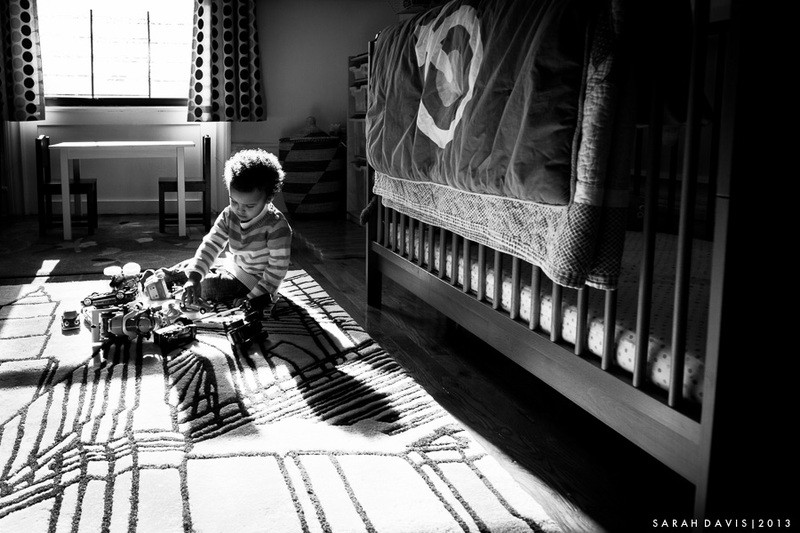 I captured him playing with not only his toy cars, but trying to catch the sunbeams that were streaming through the window. There were moments where he was so mesmerized by these beams that he didn't even notice me or the big lens encroaching in on his personal space. My favorite sight however, at this particular time and in this particular room, is always the angelic halo that the sunlight creates as it lands on the hair of my little angel boy. Please continue along the circle to see the rest of Photo 52's work for this week. Next up is the sweet and talented Texan, Kim Dupree.